Piana’s 1st album “snow bird” was released from cubic music and 12K sub-label Happy in 2003.The 2nd album” Ephemeral”was released from Happy in 2005.Both albums got a quite good reputation from the world but has been out of prints for years.We proudly announce that we reissue those two albums with remastered by KASHIWA Daisuke. It contains a disc with 10-remixed-tracks by 5 acclaimed musicians such as world’s end girlfriend, Keiichi Sugimoto, Joseph Nothing, COM. A and KASHIWA Daisuke.Those two albums were originally recorded more than 12years ago.Piana produced from the beginning to the end by herself.She took plenty time to make every details are fine. The albums are full with her personality. So even a slightest sound, you probably notice that music is by her. The gentle, warm and home-made taste sounds are very impressive. 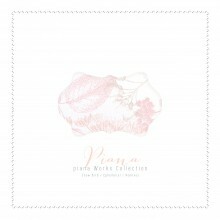 Piana’s music is like a nostalgia that you dreamed in childhood or a fantasy like fairy-tale story. And with her tender melancholy cute singing voice, you may feel primal image every ones on the earth have. The warmness being in mother’s arms.